Where to get the rocks and which ones are suitable to paint. How to paint them from step one to the finished project. How to varnish the completed rock. How to store them and pack for the journey to the craft shows. 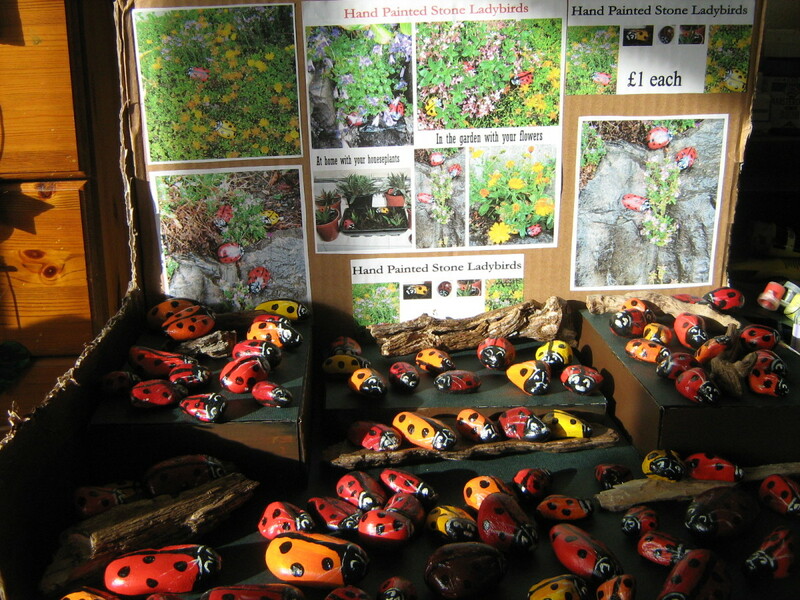 How to display the ladybugs on a stall to best effect. What price to charge for them and why. If you enjoy being creative and want something new to sell, then this could suit you. There are two main places that I picked up the rocks that I use. The first is at the beach. I am lucky to live by the sea and have plenty of opportunities to pick up some nice shaped stones along the beach as I walk my dog. The other place, which is just as good, is a garden centre. These will cost a small amount of money, but they are better quality small rocks, and I can buy a large bag of clean, perfectly shaped stones this way. If you are trying out this craft for the first time, I would advise you to look out for a few small ones either at a beach or in a park or even on the road. First, see if you like painting them and then decide it is something you want to do professionally. In order to sell them at craft fairs and shows, you can then invest a small amount of money on the rocks needed to have a decent amount of stock. The size and shape of the rock is up to you and your customers. I have photos of many different ones here so you can see the effect each one has. My customers always like to buy a large ladybug and a small one or two. The children nearly always want one small and two larger ones for their, ‘mammy, daddy and child ladybird family. I find the white rocks are best for painting but these are rarely available on the beach. A small bag of pure white rocks can be bought at the garden centres. If you are using this method for the very first time I would advise that you use four to five rocks during the first attempt. There is no point in going to the trouble and expense of acquiring lots of materials until you are sure that you enjoy this craft. It can become monotonous if you are forcing yourself to complete the task. This will then show up on the finished product and no one will benefit. I lose myself in the painting; I have the radio on with classical music and hours have passed before I even realize. It is usually my stomach telling me I am hungry or my back telling me to have a rest that makes me stop. Gather the rocks you intend to paint and wash them in warm water. Dry them with a tea towel and place on a flat surface to continue drying out. An old baking tray is best for this or an ordinary tray no longer in use. While the rocks are drying prepare your table. You will need some room on the table for the rocks, paint, and trays. I am very lucky to have a dedicated craft room in the attic and have lots of tables to work on. 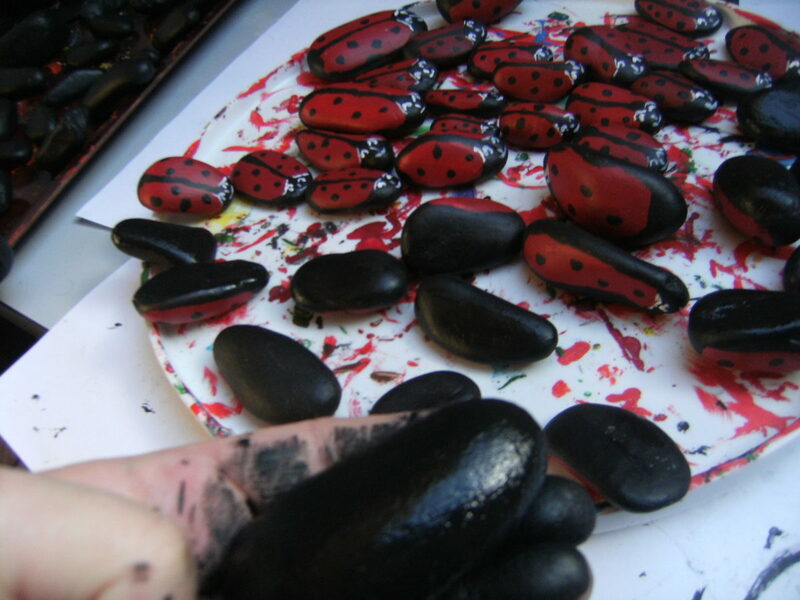 If you are using a table or room that has other uses then you will need extra trays to dry and store your ladybird rocks as they dry. 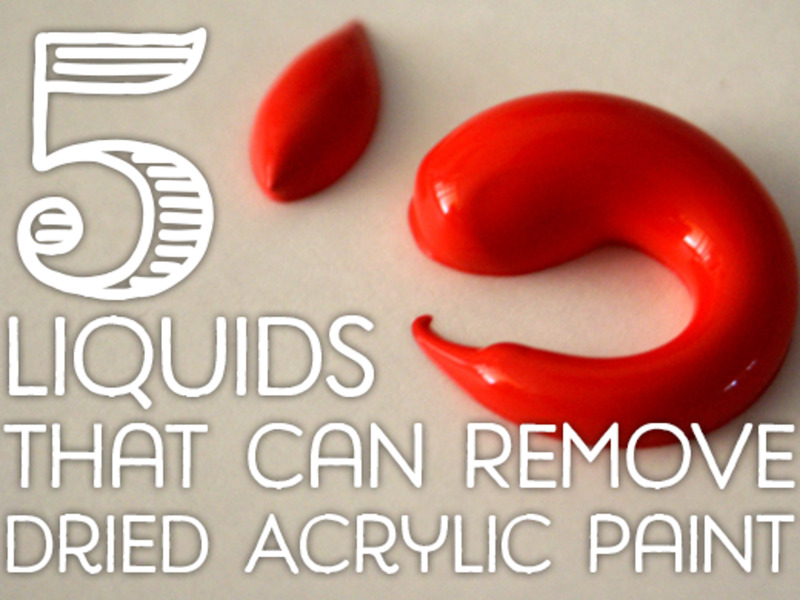 Squeeze out some red paint onto a flat surface. Acrylic paint works better than watercolour or oil. This is the set of paint that I use because it is of very good quality. You can add a tiny bit of black paint to darken the red if you prefer. Have your brushes and water ready with your cloth at hand too. Have your brushes and water ready with your cloth at hand too. These are the acrylic paint brushes I use because they work great and are value for money. Paint the rocks red on one side. You can do this by leaving them on the tray or taking them up in your hand. Painting them in your hands is very messy, but this is the method I use. Lay them down on the tray to dry. 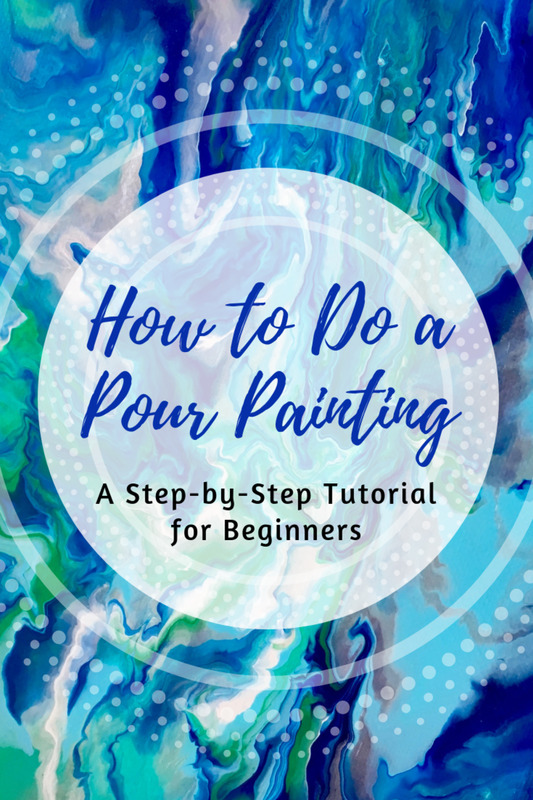 Acrylic paint is very quick drying and if you are painting a lot of them at once then the first one will be dry by the time you finish the last one. I usually paint about fifty at a time when I need to replenish my stock for the craft fairs. One coat is usually enough, so if you can still see the white or brown of the rock once it dries, then you are using too much water on the paint. If this happens, paint them again. Squeeze out the amount of black paint you will need for this next stage. Make sure the red is dry before applying the black paint. 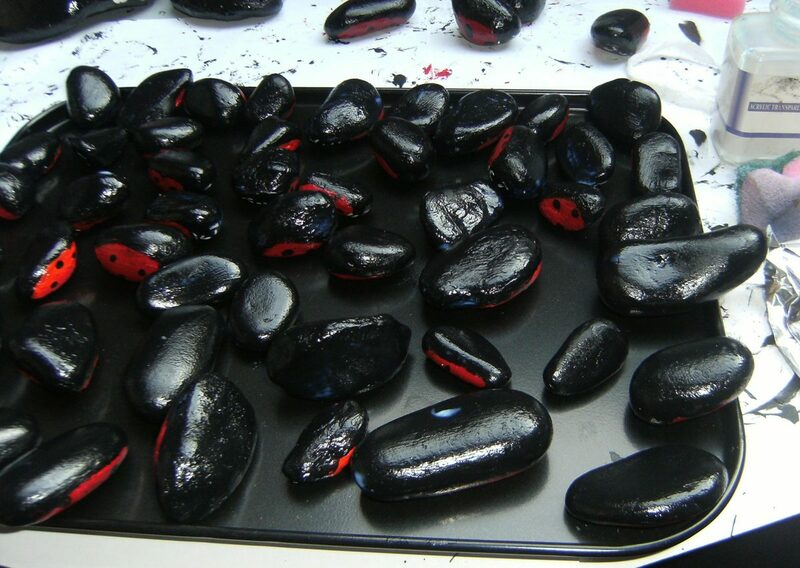 Now you can paint to other side of the stones black and allow to dry. 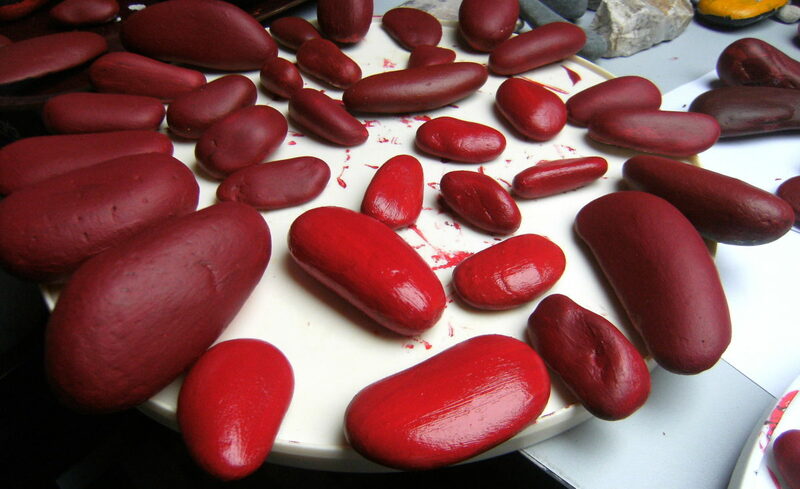 Take up the stones and start at the red side. Draw a line with the black on your paintbrush down the centre of the stone. Draw a half circle on the end of the stone where you want the face to be. Usually, the shape of the stone itself will show you which side is best. Fill this in with the black paint. Start from the end and draw the shape of the wings up to the face. Fill in the left over parts with the black paint. Place the stone on the tray and allow this to dry. Do the same for each one. Add four black spots on each wing of the ladybug. Painting rocks takes practice to get right. Try getting a perfect circle on to a piece of paper first. A blob of paint on the brush quickly jabbed onto the rock works best. Allow to dry and finish off the remaining rocks. Squeeze out a small amount of white paint. Hold the rock in your hand and paint on the face using a smaller paint brush. This too will take time and confidence to do perfectly. If you make a mistake while the paint is still wet you can use the cloth with some water to wipe it off and start again. If the paint has dried when you realise the mistake then you only have to paint over the face with the black, wait till it dries and start again. Leave the rocks until the following day before you add the acrylic gloss. This will give you fresh eyes to make sure you are happy with each painted ladybug. The gloss is expensive for a small bottle but it goes a very long way. 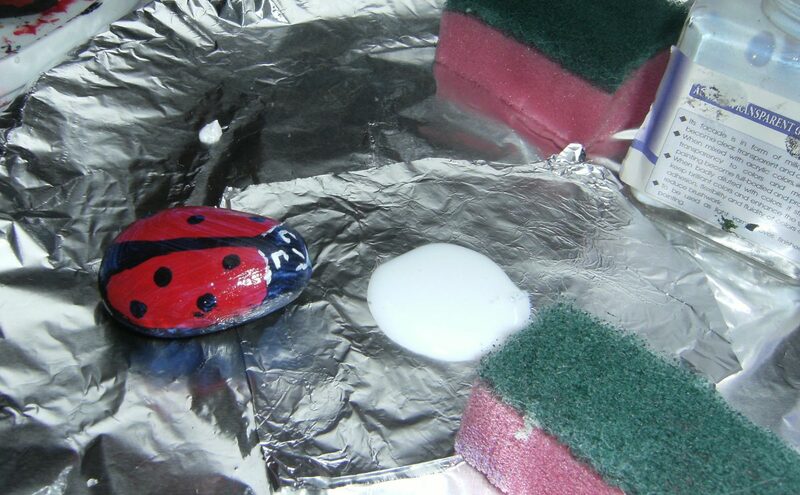 Pour some of the gloss onto a piece of tin foil and dip into it lightly using a piece of the kitchen sponge. This is a milky substance so that you can see where you have applied the gloss. Once it dries, the gloss is clear. Lift up your first rock and cover one side lightly and quickly with the gloss. Put onto an empty tray. Repeat the process for all of them. This can be messy at times and depending how many you are doing your hands can become sticky. Make sure you wash your hands with hot soapy water if needed before you proceed any further. If you leave it you could transfer dirt from your hands onto the rock. They will take at least twenty four hours to dry enough for you to start on the other side. Make sure the gloss is non sticky to the touch before you proceed to gloss the other side of the rock. They will not be completely dry but enough so you can continue without damaging the already painted side. Leave them to completely dry for at least one to two weeks turning them over as needed. If you have the space it is best to leave the rocks as long as possible to dry out. It all depends on what gloss you use and how much you have applied. I sell my crafts at fairs and shows only about sixteen times a year so they all need to be stored away safely and neatly the rest of the time. For the very small stones, an empty egg carton is ideal. Put the tiny ones in each space and seal the lid down with cello tape. For the larger ones and more unusual shapes, it is best to make your own from cardboard. I have detailed how to do this with step by step instructions and my own photos. Once this is made up the painted rocks can be stored in the boxes when not used and transported in the car to and from the venues safely. Get a few empty cardboard boxes from a store or supermarket. It should not be too big because the weight of the stones is very heavy. If you have a lot then make a few smaller ones so they are easier to carry. Use one box to cut up the strips needed to make the compartments inside the box. Place the strips across the end of the box and cello tape down. Then make the holes big enough for your particular shapes of stones by placing the second card strips the opposite way. Do this by placing a few rocks in the box to see what the average size is that you will need. Mark the cardboard strip with a pen and then cut on this markup to nearly most of it leaving half an inch uncut. This allows you to fasten down the second piece of cardboard strip to make the holes. For smaller boxes, it is easier to cut each divider separately. Cut the cardboard into strips slightly larger than the piece needed. This lets you bend it on both sides so you can tape them together. With the larger and missed shaped rocks, it is better to place them in the box first and make the strip fit. As with any craft, you wish to sell it is important how you display them. This will always depend on how big your table is and what other crafts you plan to sell. If you have plenty of room then you can be artistic and show them off at their best. If you have limited space on the table then you can still make the best display possible with the smaller space. The better the Painted Rocks are displayed the easier they will Sell. I have photos below of two different display boxes I use, one for the smaller amount and one when I have more room. 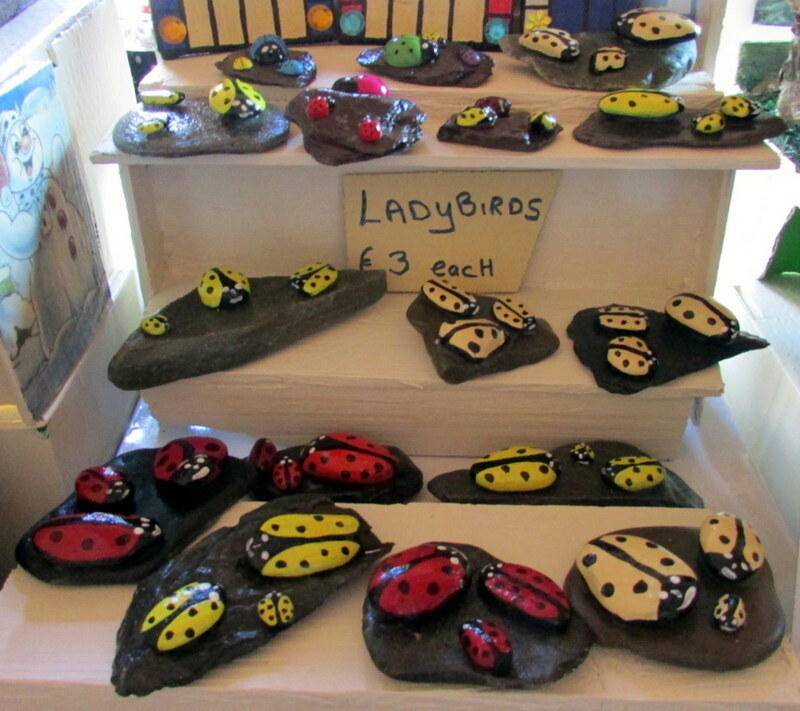 Please do not be tempted to add too many ladybird rocks or it will look overcrowded and customers will be put off. Use what you have in the house like cardboard boxes and paint. Also, collect driftwood if near a beach or pieces of wood or dead tree branches. These look natural and brings the customer to the table out of curiosity. The photos below of my displays should give you some ideas to start off with. When you make a craft for the purpose of selling it then it is best to add up how much the materials cost. Then calculate the percentage of profit that you feel is worth the effort and work you put into it. Add these together and you have your retail price. Sometimes when you do this with certain crafts the amount you would have to charge would be too much for customers to pay. Then you have to decide whether to drop your profit margin or stop making that item and try something else. When people go to craft fairs and shows they expect to pay that little extra for the items because they know everything has been hand made and unique. 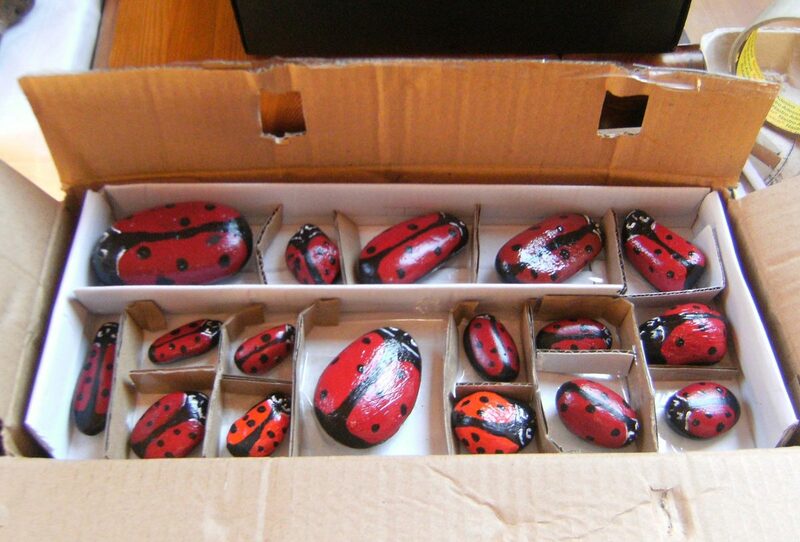 How much do I charge for my hand painted ladybird rocks and stones? I live in Europe so charge €1 each for them. This price is for the small ones and the bigger ones too. It is easier to keep most of them at the same price. I started off with a price of €2 each or two for €3 and they did sell well enough. Why do I only charge a euro for them now! It is always a good business strategy at craft fairs to have cheap items for the parents to buy for the kids. Most crafts are expensive and when parents have children with them they like to buy them something to keep them happy too. So wherever you live, always have something for a dollar, pound, or euro on the stall. 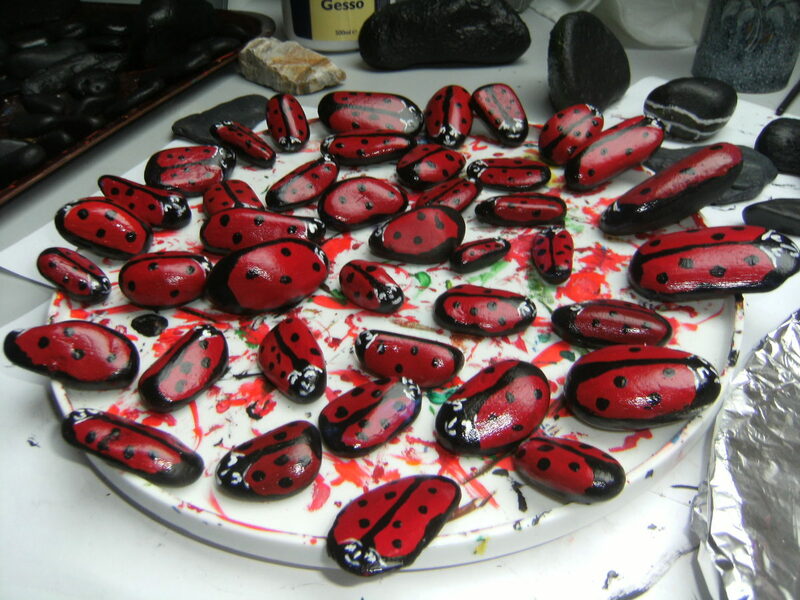 I paint these ladybug rocks in bulk and can do them fairly quickly and accurately. It is cost effective for me to sell them at this price. But a more important reason, too, is that these ladybirds are always very popular with the children. No matter what you sell, if you can attract a child to your stall with a good display of some item, then they will drag the parents along. As they are choosing from the many different painted rocks then their parents can look at the other crafts you are selling in peace and often buy other more expensive items themselves. With nearly all my young customers they like to buy at least two ladybugs and quite often three. The parents do not object because they are so cheap. 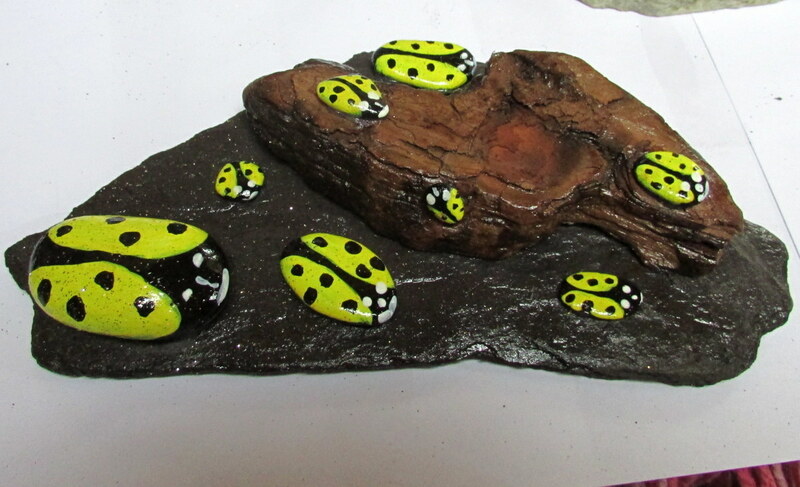 I do enjoy making dull rocks into these ladybirds. If you would like to try this interesting new craft then have a go and see if it suits you. It will be a nice addition on the stall to the crafts you sell and is always very popular with the children. The adults love to buy them too for their garden, plant pots, and indoor plants. On the larger display box I have photos of the ladybugs in my garden and beside indoor pots so the customers can see how well they look. The varnish on the rocks make the ladybird painting look a lot better but it also makes the painted rocks waterproof. I use this varnish because it drys quicker and is great value. 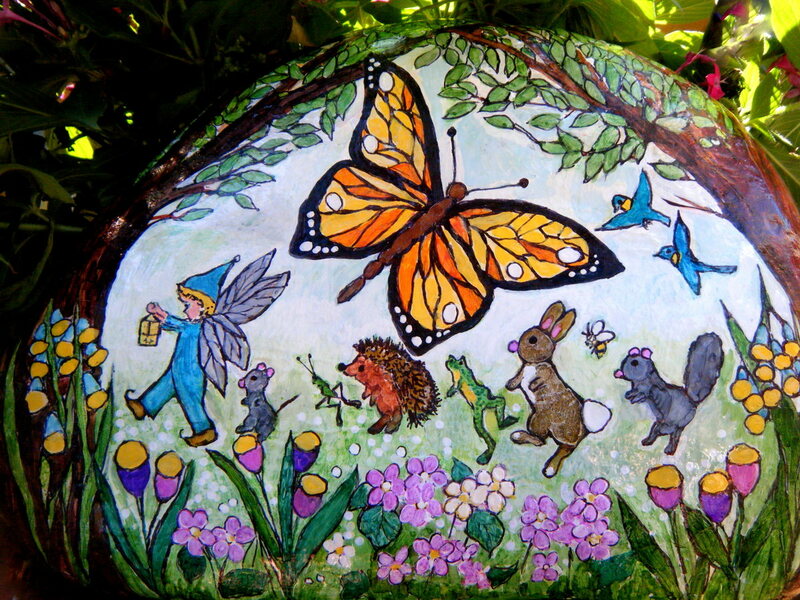 I wanted to paint some rocks for a small part of the garden. Ladybird stones would be good. Do you have any other tutorials for painting on rocks? Is it ok to use a spray sealer when painting on rocks? Hello Fred, yes painting rocks can be very enjoyable. I can spend hours creating ladybugs and get lost in my own world while doing so. Those carpet tacks sound very interesting. I'm an olde retired Vietnam vet who has taken up rock painting. I am constantly looking for new methods and projects. I've painted a number of ladybugs of various colors and styles. Instead of painting dots on anything, I've found that dotting tools are much faster and provide a uniform appearance. Recently, I painted ladybugs on the tops of carpet tacks which really look neat. I can then glue them onto other objects. Ladybugs are cool. I don't sell any of my rock paintings or welded steel art even though a number of people ask me to. I basically give everything away to those who appreciate what I've done. I have some rocks. Now I need to get acrylic paint and varnish and try this. 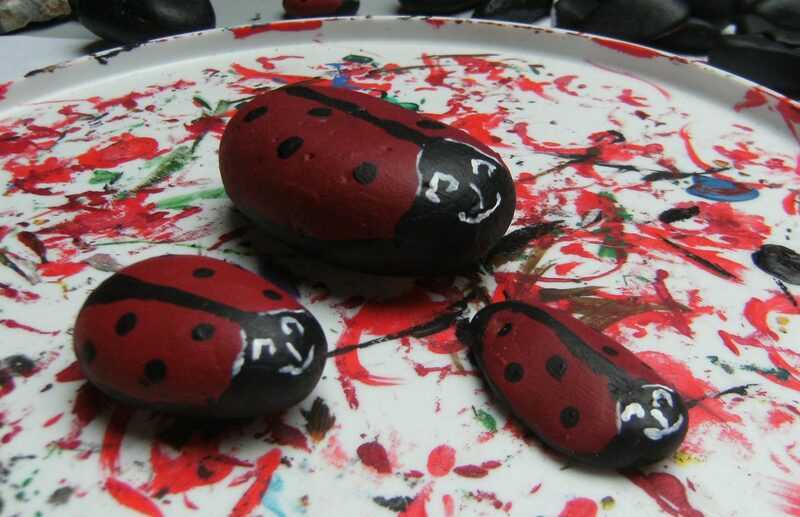 Hello Lefa, Yes the kids do love to paint things and these ladybugs are easy for them to create. They can have great fun. I really love the ladybug crafting methods and the joy they give to children. What an interesting article and I loved all the pics. I like your suggestion about selling inexpensive items that will attract children and their parents to your stall, so you have a better chance of selling some other crafted items to the parents. Very cute-looking painted rocks. What a bright idea! Many thanks for encouraging people's creativity. I am going to try it, definitely, but It looks that it might be addictive! Yes the ladybugs do sell very well and I enjoy making them too. It is a great activity to do with the kids as well. 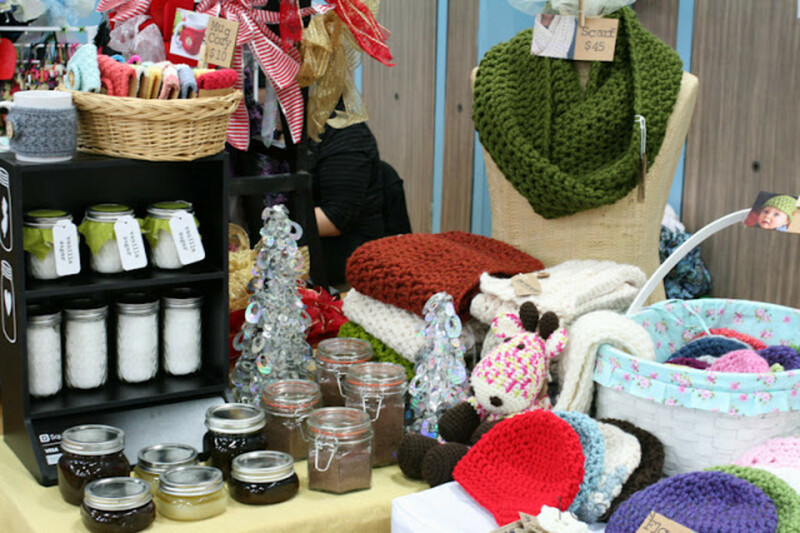 This sounds like such a neat idea for craft fairs. Lady bugs are so cute. 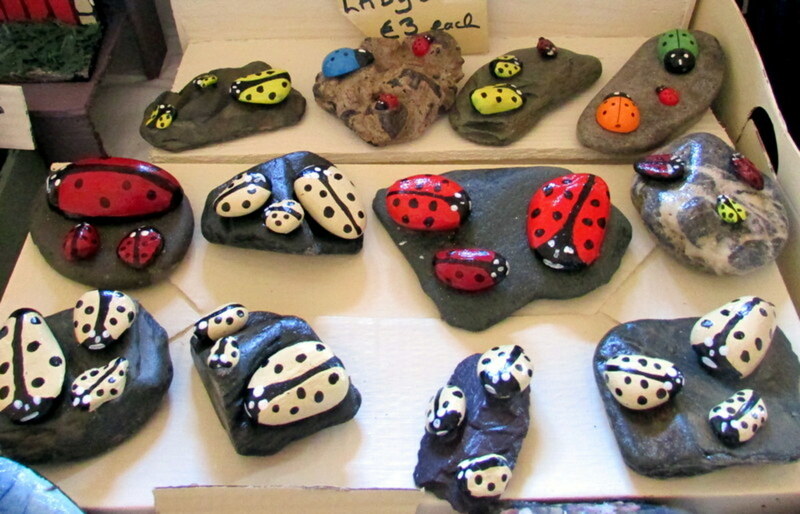 The painted ladybug rocks are ideal as small gifts and I do sell quite a lot of them at craft shows. Very detailed information. You certainly provided tips on how to do this successfully. These are so cute and would make great little gifts to give for just a sweet surprise. 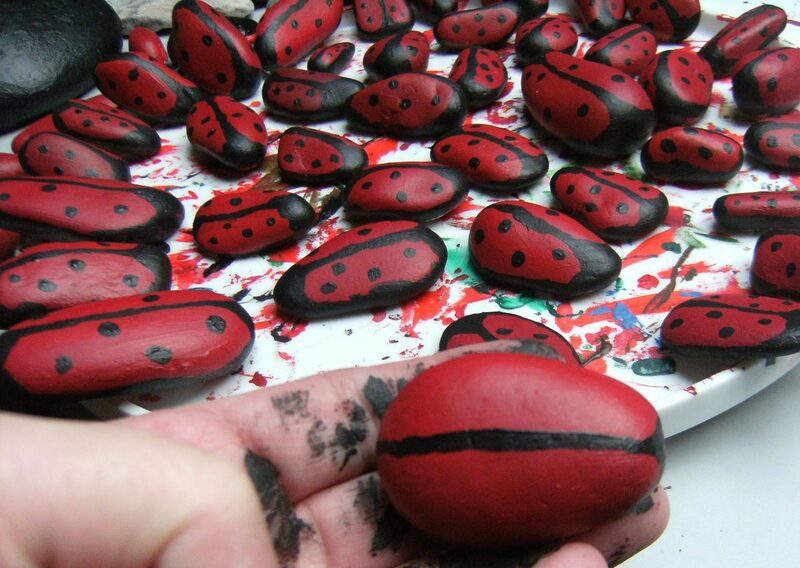 It does take a while to paint the rocks and turn them into lady bugs that is why it is great if you enjoy doing it. I love to see them all completed and on display. Thank you bridalletter for your kind comments. 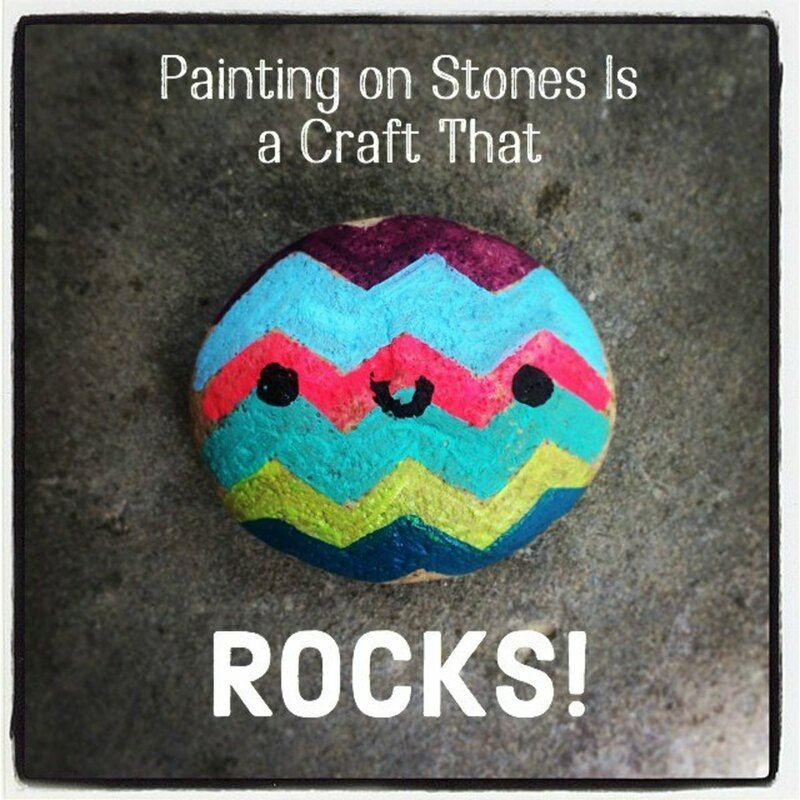 Painting rocks is always fun for the kids Thelma Alberts and your nieces will have certainly have great fun.its fun for the adults too lol. Thanks for the votes and sharing. 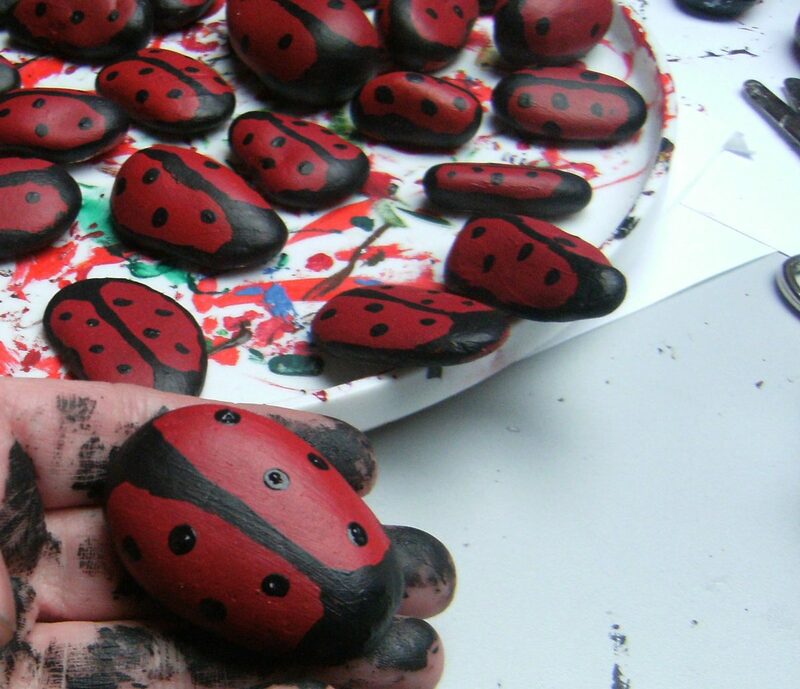 Thanks for sharing so many details on how you paint and sell your ladybird rocks -- ladybug to us :). The videos have some helpful tips, but I like your design best. What a wonderful hub! So well written - you explain the process so well and the photos are great. I love lady bugs and I can see why these are big sellers. Thank you so much for sharing your art and craft with us - just beautiful! Adorable. I have a rock lady bug. Not sure where I picked it up, but I do like it a lot. Wonderful display you created, no wonder you sell so many of them. A lot of steps to create, but worthwhile. Hi viking. 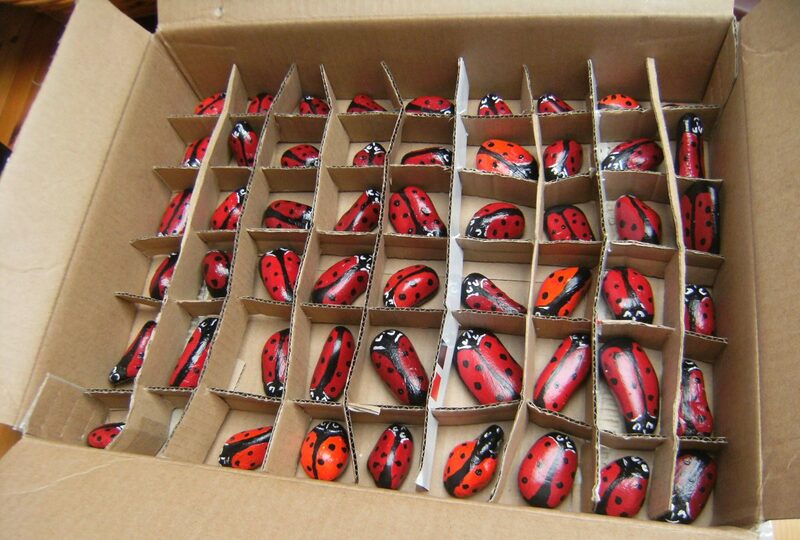 What a great hub, and I would certainly buy some of these cute ladybirds if I saw them at a craft fair. The way you have displayed them with photo´s taken in your own garden really catches peoples interest too. What a beautiful project to make! Lady bugs are awesome to paint. I´m sure my nieces would enjoy making this craft. Thanks for sharing. Voted up and shared. I enjoy painting rocks too Scibenet and it is great that they sell so well too. 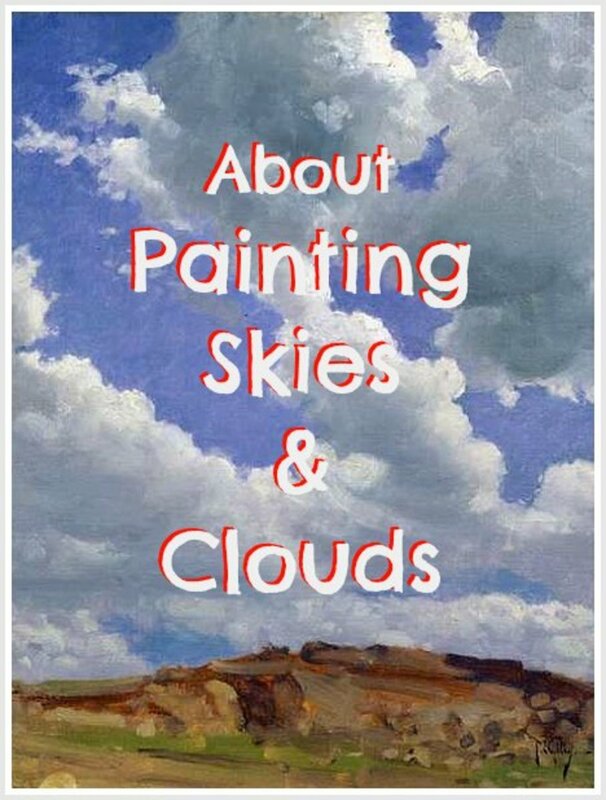 I am glad that I have also inspired you you go back to your own painting - enjoy. drbj Yes the kids will love painting the rocks and their hands too lol but that is the fun of it. What a fun project for kids and crafty adults, viking. Thanks for sharing the easy steps of creation. I love Ladybugs! I will be doing this project...my windowsills and all sorts of nooks will have these cute critters in and on them. Years ago I painted rocks. Thanks for reminding me that I can make my own Ladybugs!